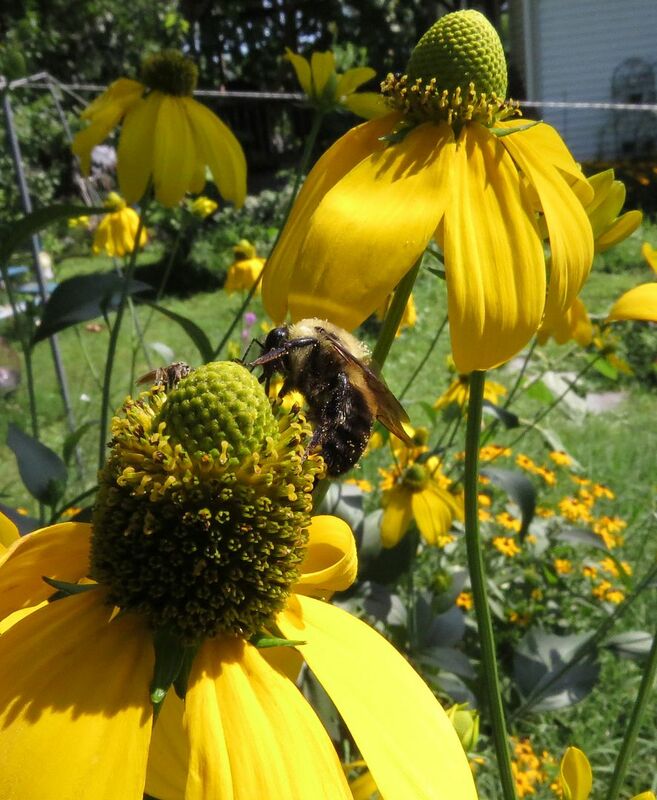 I finally found a Rudbeckia that Honeybees like! And it's not this one! 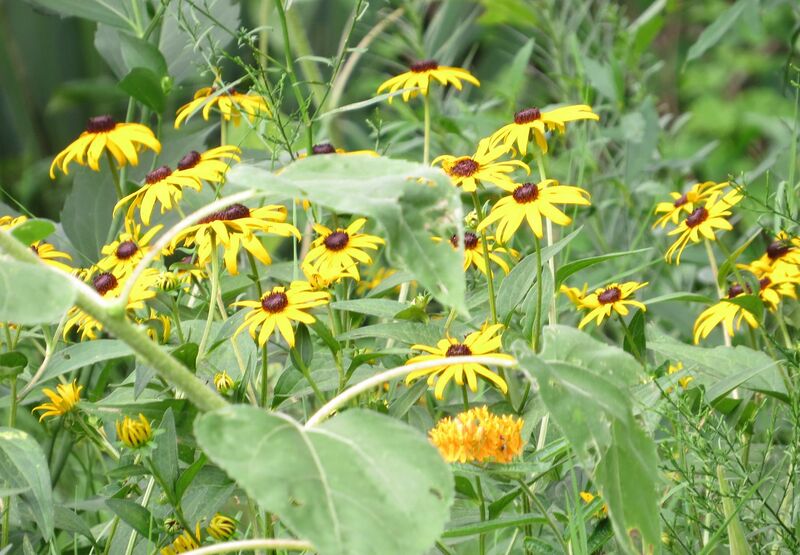 The common Black Eyed Susan is one of the most recognizable of our native wildflowers. Seeds are sold in kits, they're available at practically every nursery, and it's even fairly common growing along roadsides. 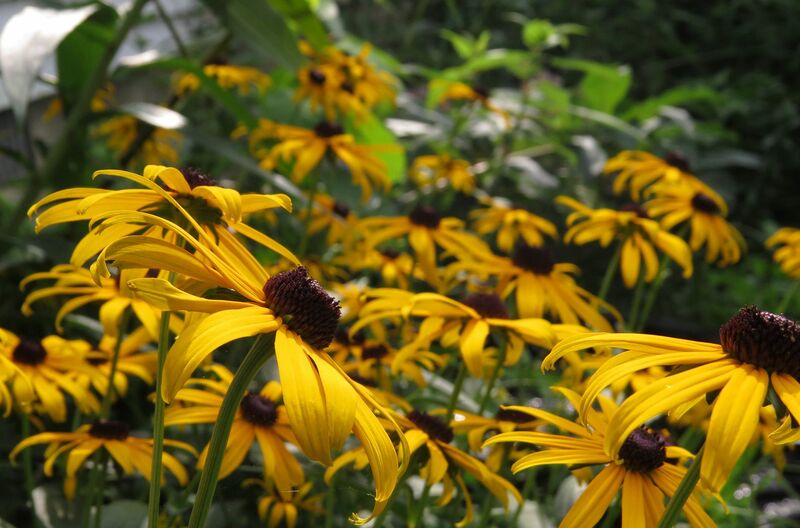 The two main species, Rudbeckia hirta and Rudbeckia fulgida, are simply annuals and perennials, and short lived perennials at that. Patches of these wildflowers are only maintained by the fact that they're great at seeding themselves around each year on patches of bare soil. The seeds germinate in the first autumn or spring they experience and quickly build up energy to start flowering a one to three years later. 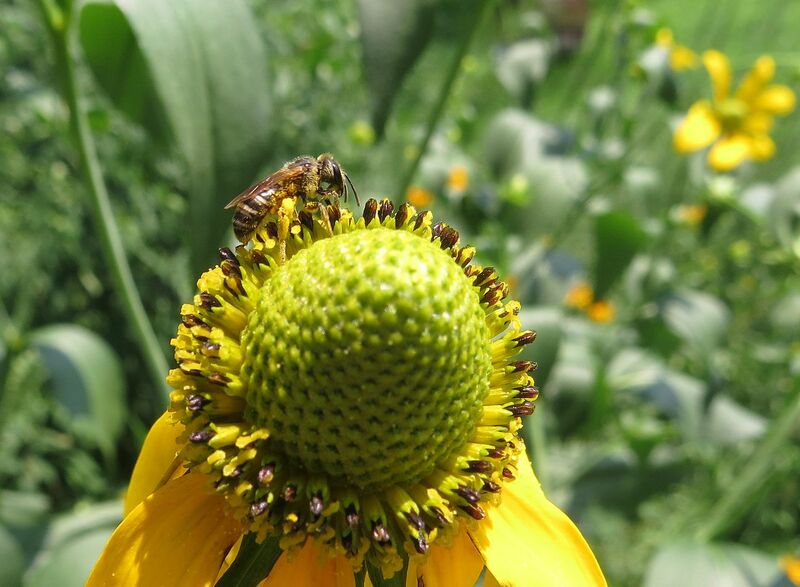 For the most part they're pollinated by tiny bees, hover flies and almost nothing else. 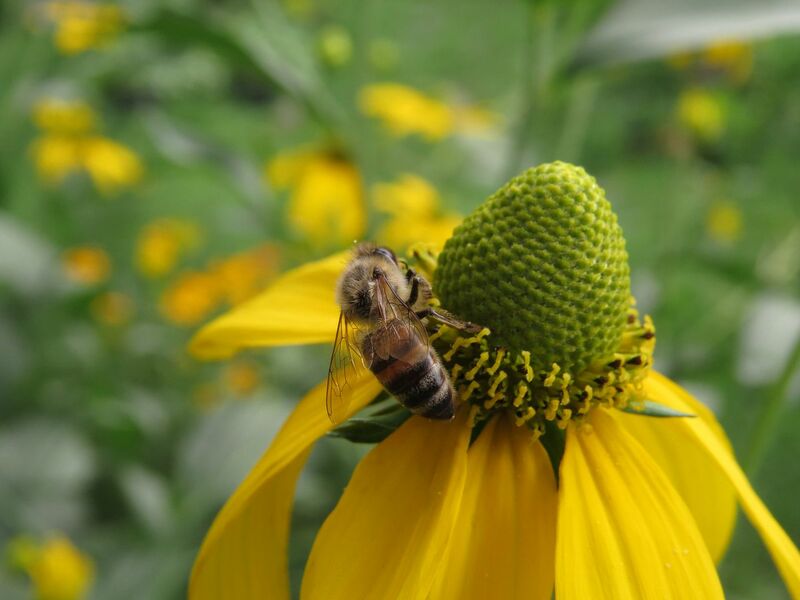 As far as pollinator plants go they're pretty boring. I believe it has to do with the fact that they're short lived. Rudbeckia subtomentosa is a longer lived perennial falling somewhere in the middle between the two species above and the one I'd like to focus on below. 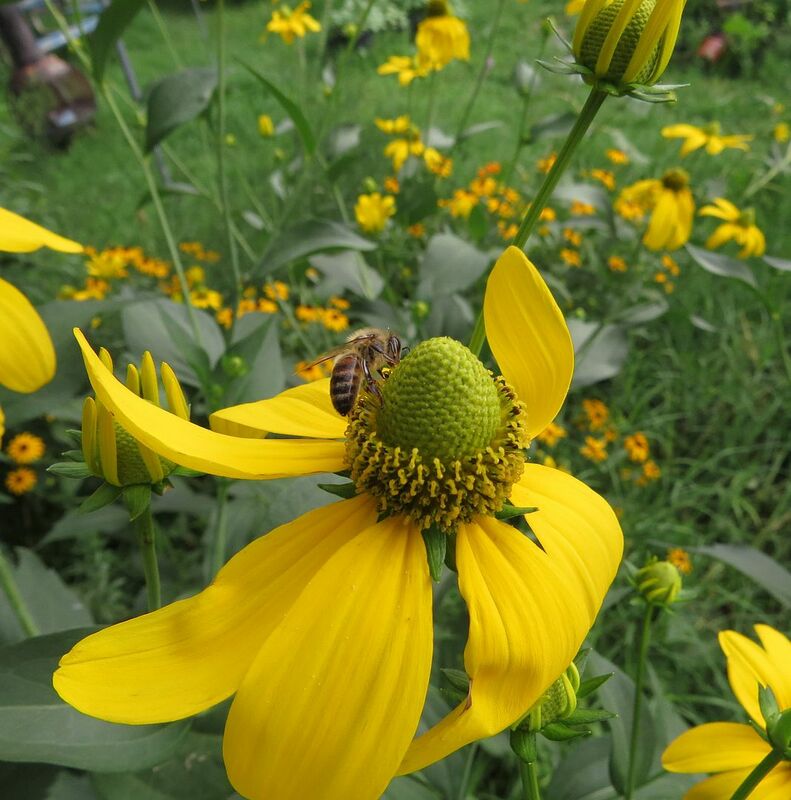 Rudbeckia laciniata, is a perennial species that spreads by rhizomes to form a dense clump. Much to my surprise this one plant is getting more honeybee attention than the patch of Cup Plants, Silphium perfoliatum, which is eight times bigger, twice, as high, and covered in flowers. Bumblebees and other pollinators don't draw the distinction between the two plants, in fact I'm seeing one of the best bumblebee years ever. My plants are all loaded with bumblebees. 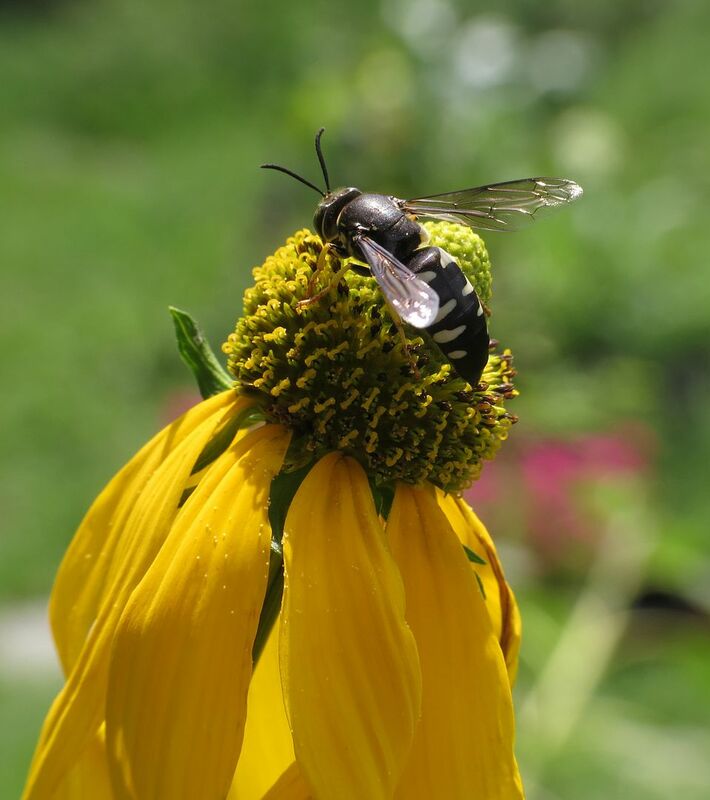 Other pollinators too seem to be very abundant this year. The Rudbeckia laciniata is attracting quite a bit more diversity too than either the other Rudbeckia speices, or Cup Plants.